Set between the splendid promontory of Gabicce Monte and a marvelous hinterland of medieval villages, stands Cattolica, a small seaside resort that has gradually conquered a prominent place in the international tourist market thanks to a deeply rooted entrepreneurial spirit and to a large renovation of his street furniture and his tourism resources. 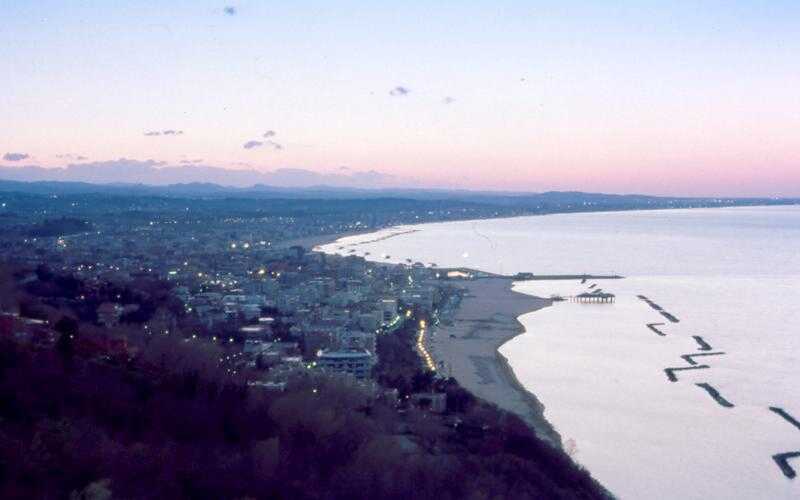 Currently it is a center of attraction for all kinds of tourism: from sports tourism with its numerous events of football and cycling, to beach tourism that finds in Cattolica every structure suitable to spend a relaxing holiday with special attention to children and their needs, up to youth tourism with its sparkling nightlife consisting of numerous bars and meeting places for night owls. To focus our virtual itinerary, let's take a look at the Cattolica map. The map presents a reasoned itinerary through the streets and historical sites of Cattolica. A road map with interesting places to visit which we will discuss in this article. Our trip to Cattolica starts from the Port. 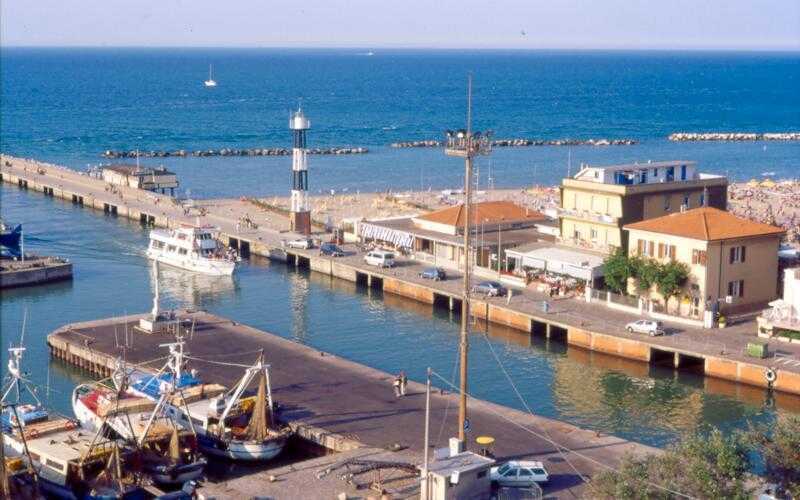 It mainly hosts fishing boats and fishing boats, and is located at the mouth of the Tavollo torrent, it consists of two quays: the Molo di Levante and the Molo di Ponente; on this last pier a dock was recently built for cruises and pleasure boats. 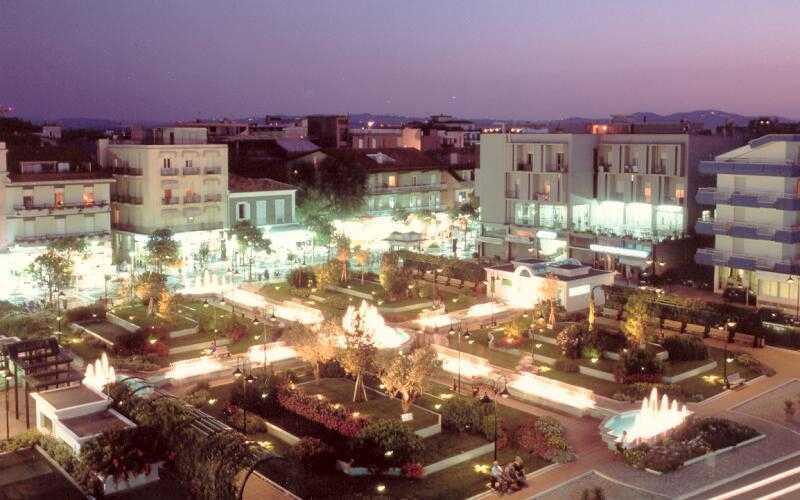 Even the main square has been completely renovated (see photo below) and features innovative architectural elements that boldly combine with the older area, painting an evocative overall picture. A visit also deserves the lighthouse, located on the far end of the port, reaching out to the open sea. The lighthouse stands imperious, and at its feet is depicted a rather picturesque compass rose. Our walk continues along the seafront "Rasi Spinelli" of Cattolica, which joins the port to Piazza Primo Maggio (the square of dancing fountains) and continues its path grafting to the newly built wooden walkway that runs along the bathing establishments from the 51 baths to the 120 baths and stops its run at the mouth of the Conca River. The promenade preserves an undeniable charm because it winds through little restaurants on the beach and colorful flower beds full of flowers and plants. 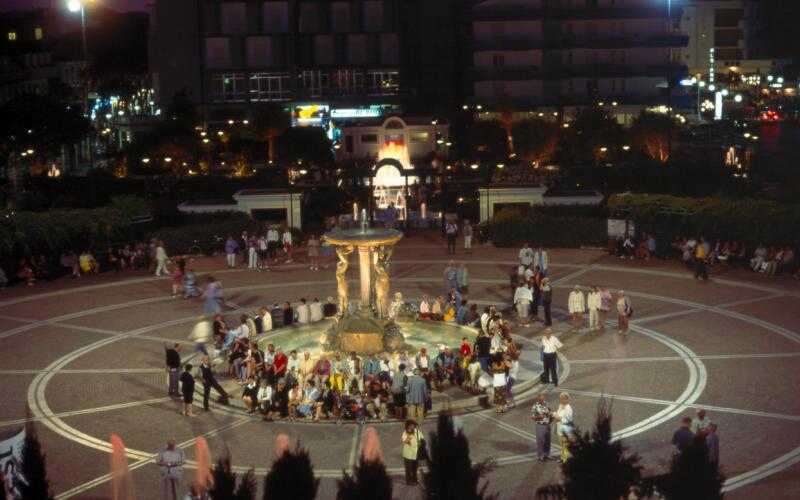 Particularly suggestive then at night, with a magisterial lighting that spreads a soft light giving the seafront of Cattolica a spell of mystery and magic that is hardly forgotten. 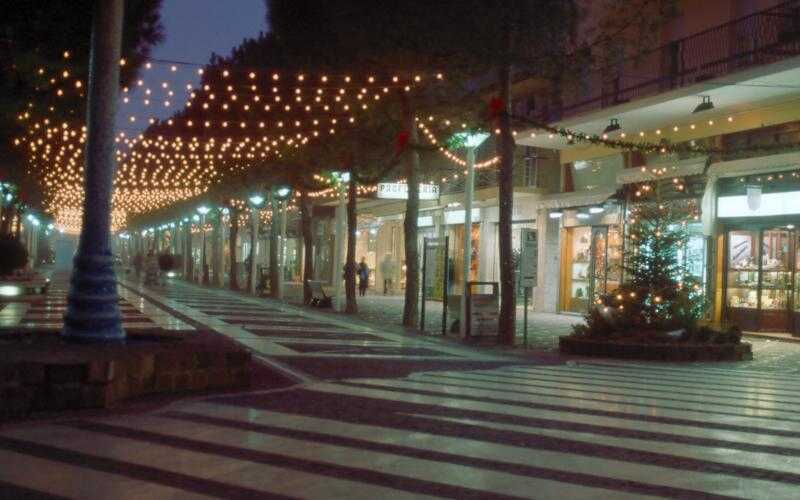 Piazza Primo Maggio otherwise known as Piazza delle Sirene or Piazza delle Fontane Danzanti, however it is called and will always remain the beating heart of Cattolica and the nerve center of every city activity. Here are held important events such as the Rustida di Cattolica (see in the section Cattolica events) or live shows of concerts, ballets and performances, thanks to its open-air stage, or the suggestive spectacle of dancing fountains in which water plays with light and music and becomes a sinuous body that marvelously marvels the astonished audience crowded to attend the event. The Piazza welcomes in its exact center the Fountain of the Sirens. The original sculpture was commissioned in the 1928 by the Forlì artist Giuseppe Casalini. The sculpture shows three majestic mermaids wrapped in a drapery that seems to sway in the wind, so realistic. It seems that the artist to depict the three mermaids modeled after her nineteen-year-old daughter Francesca. 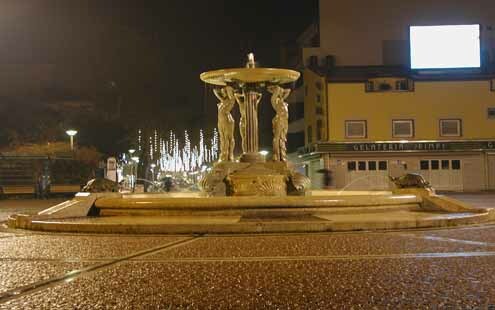 The Fountain of the Mermaids, an authentic symbol of the city of Cattolica, was then merged with the Fascist symbolism of the Twentieth century through the arbitrary insertion of a Fittoral Littorio in the center of the structure, an element currently removed to give back to the fountain its original aspect desired by the artist. 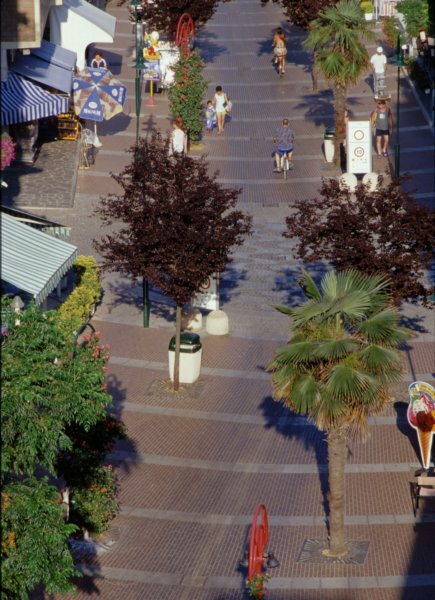 Here is the main artery of Cattolica: the road that has become over the years the undisputed queen of the walk, shopping, relaxation and fashion of Cattolica. Via Dante (or Viale Dante) is a long avenue entirely pedestrian, immediately parallel to the other famous Viale di Cattolica: Viale Carducci that runs directly along the beach. The Via Dante course presents a unique urban decor, as it is in fact free of asphalt. Viale Dante has been entirely conceived as the only place to walk and then paved with characteristic red bricks that cover the entire roadway. A type of flooring that gives it a unique appearance, making it both welcoming and elegant. The urban furnishings are completed with planters, benches and street lamps in harmony with the innovative character of this avenue's design. Viale Dante also adorns dozens of shops, boutiques, bazaars, emporiums, ice cream parlors, souvenir shops. 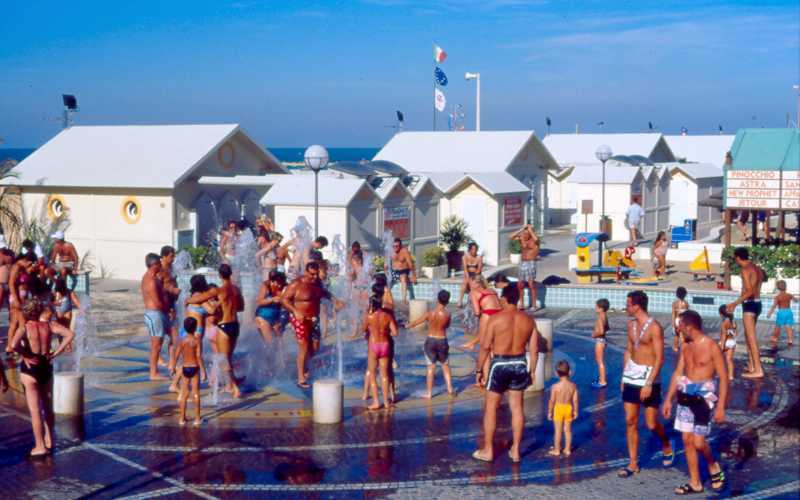 A place that every tourist who visits Cattolica can not fail to explore in all its characteristic peculiarity. It is equally impossible to resist the offers, the discounts, the proposals, the business that the thousand shops in Via Dante present to the tourist, who, like Ulysses, finds himself passing through the sweet songs of a thousand tempting sirens. The square was conceived to be the commercial heart of the city and the structure built in 1926 and used as a covered market is still present, restored and brought to its former glory. The building was built according to the dictates of the neoclassical style as required by the authorities of the time (5 was inaugurated in June 1926 in the presence of Italo Balbo). The Covered Market had originally been conceived on two floors: on the first floor there were numerous fishmongers, shops and foodstuffs, while on the second floor it was planned to create a party hall, a hall that was never created and preferred, much more prosaically, use the area to store and unravel. The Piazza today undoubtedly deserves a visit thanks to its peculiar position: a trait d'union linking the walkway of Via Mancini to the old Cattolica of Via Pascoli. Thanks also to an urban furniture that makes it a place of relaxation and refreshment, it offers ample walkable spaces and various open-air comforts such as pleasant background music or comfortable and spacious benches to rest. 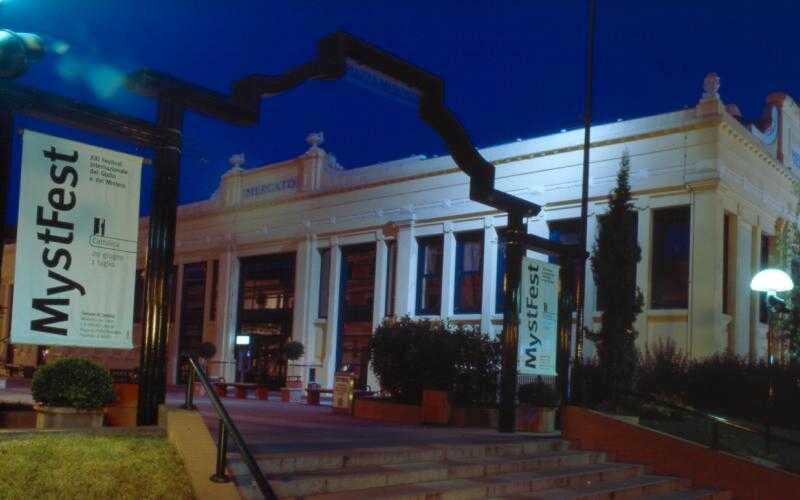 The project of this theater, which we remember is the only theater built ex novo after the war in Italy, is signed by architect Pier Luigi Cervellati. It is a structure of bold and very modern conception that has three tiers of boxes, a stalls and a wide one for a total of 600 seats. The plan of the theater proposes the scheme of the horseshoe, characteristic of the theaters called "all'italiana". The materials used in the harness and furnishings offer a full use of light woods with soft and restful shades. 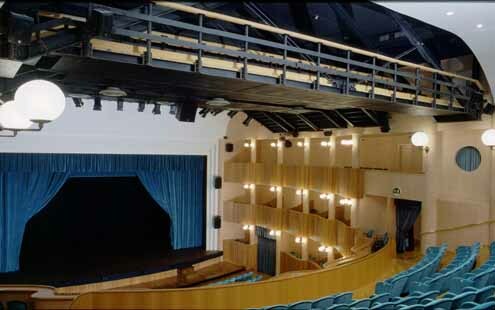 The very elegant armchairs and curtains were made exclusively for the Teatro della Regina by the Frau company. The 10 meters wide and 12 meters deep stage has a mystical gulf made of self-propelled so as to enlarge its already capacious dimensions aligning with the stage, space that is able to accommodate orchestras up to 50 elements. 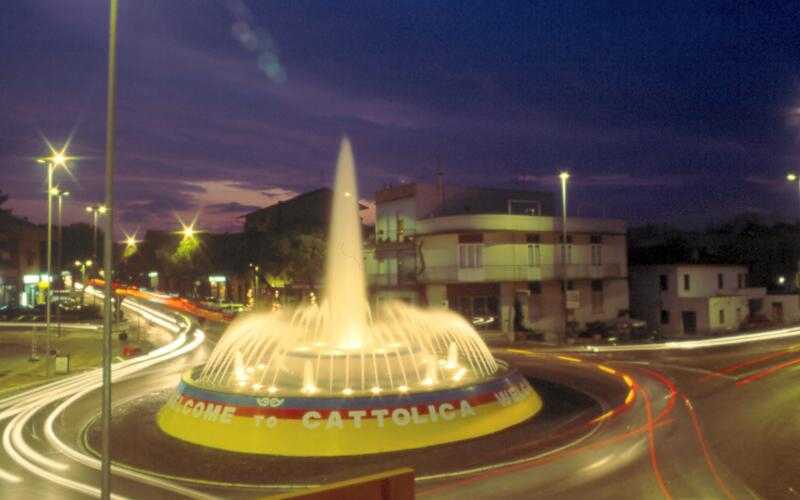 It was inaugurated in the 1996 by the soprano Katia Ricciarelli and represents the pride of Cattolica. Unmissable. More than a thousand words is worth an image. 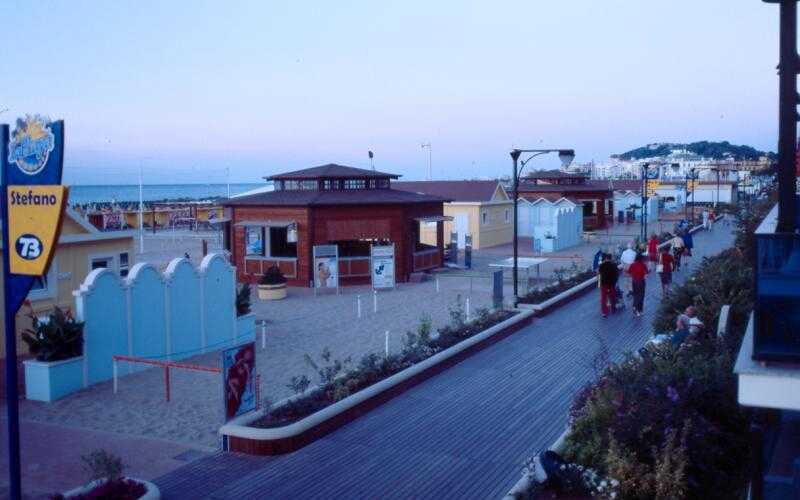 So to close this quick overview on Cattolica is an ideal itinerary for images. The photographs, like all those present in this presentation, are taken from the promotional cd "Baci di Cattolica", a multimedia initiative of our Municipal Administration that we feel to support and spread, hoping that our love for Cattolica will be able to leak from the snapshots and find on the Web the visibility that deserves this splendid city: the Queen of the Adriatic. Bath in the waterfront fountain. 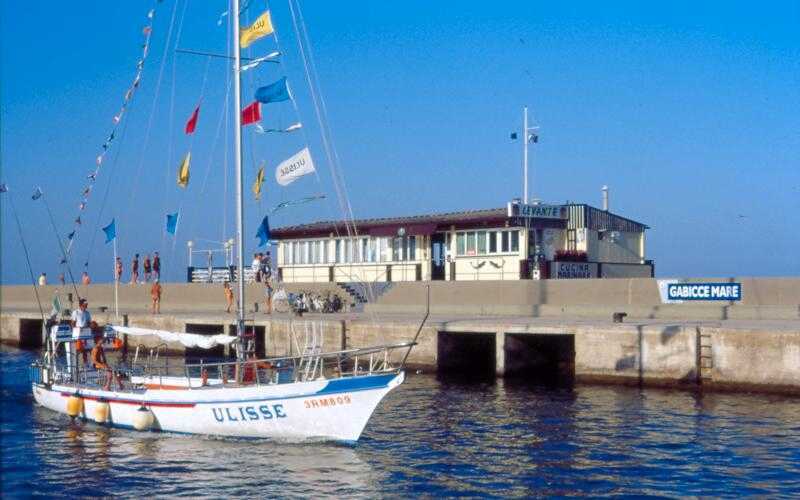 The boat "Ulisse" returns to port. 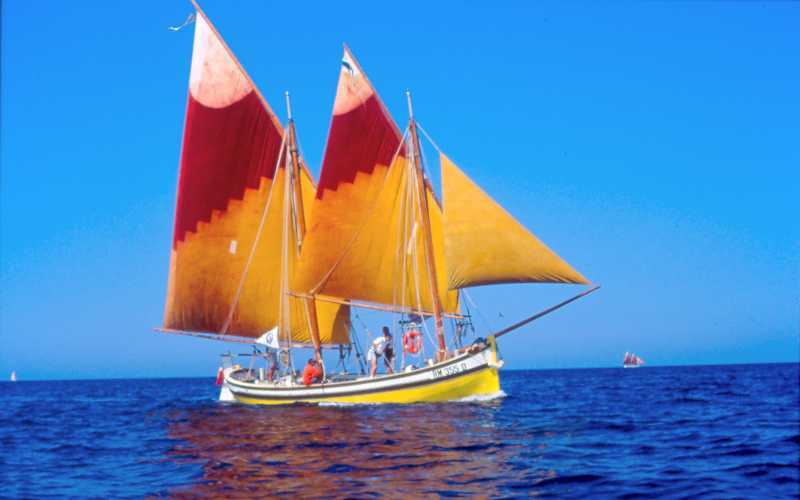 A fishing boat built in ancient style "Trabaccolo". The gardens and fountains of Piazza Primo Maggio at night. 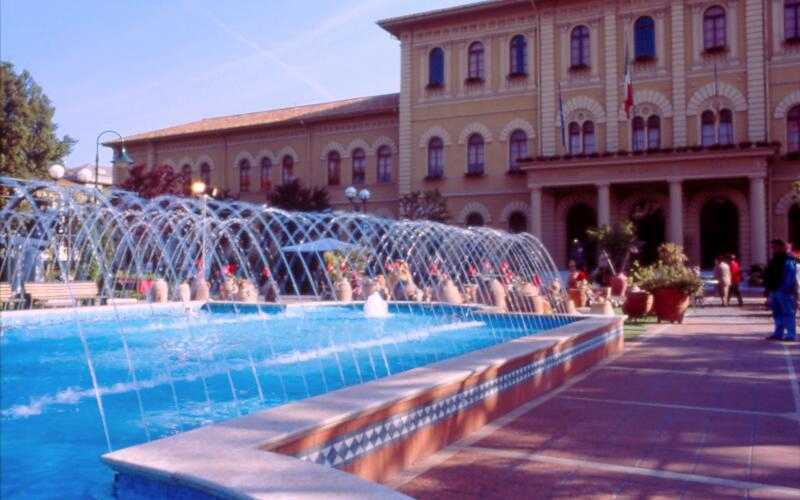 A glimpse of Palazzo Mancini, the town hall of Cattolica. 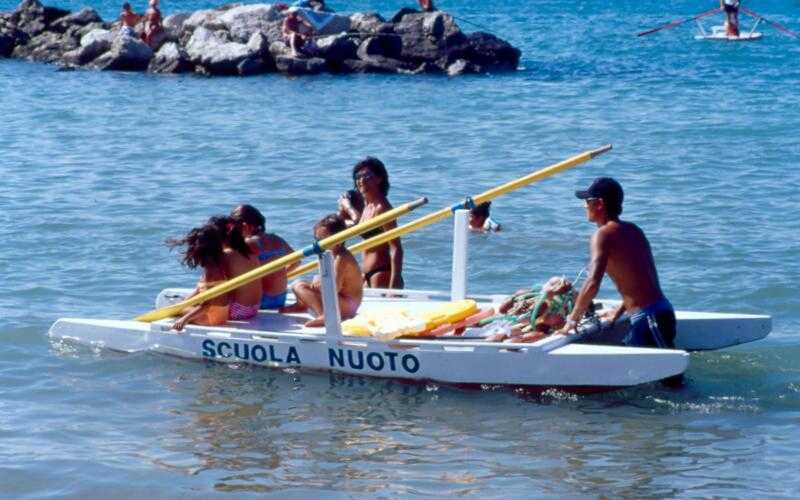 Swimming school on the "moscone", a typical rowing boat. 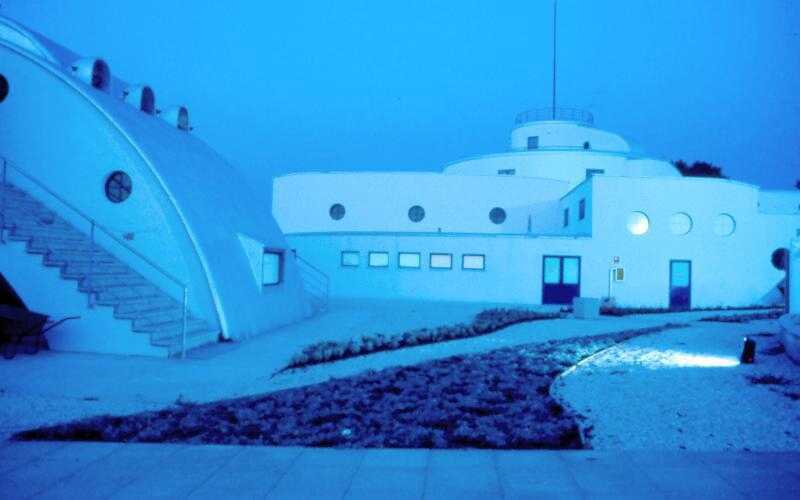 A suggestive nocturnal view of the Cattolica Aquarium, the Le Navi Park. 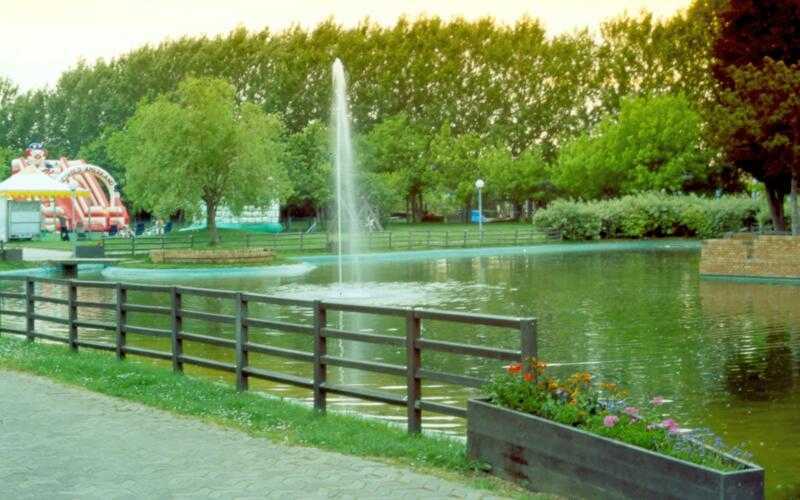 View of the lake located in the Parco della Pace. 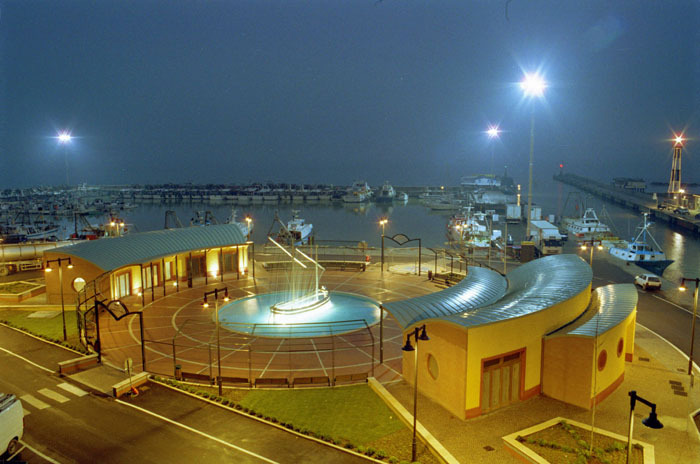 The roundabout in Via Allende, after the toll booth, which leads to the sea. View of the Canale del Porto di Cattolica. Sunset on the Queen of the Adriatic in an image portrayed by Gabicce Monte. Viale Bovio, very central, which connects Piazza Primo Maggio to Piazza Nettuno. Wonderful shot of the Fountain of the Sirens, in Piazza Primo Maggio.